ContainerSign is a patented* innovation from SignSite Group, a market leading custom signage manufacturer based in Brisbane, QLD, Australia with corporate offices around Australia and the United States. 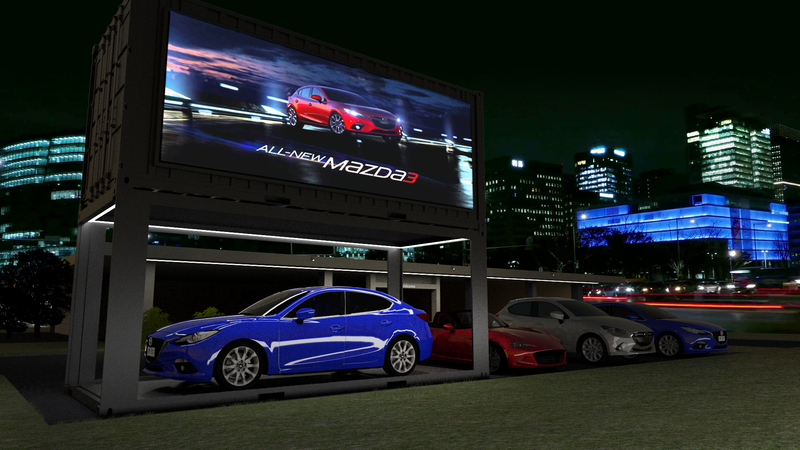 The patented* ContainerSign is truly an innovation in outdoor big screen messaging. The high brightness LED screen is perfect for temporary or short term leases where high impact messaging is required but lengthy leases, regulations and red tape get in the way. Perfect for car dealerships, festivals and concerts, sporting events, retail locations, Government functions and much more.... ContainerSign provides big screen messaging right where you need it. ContainerSign comes in 6 distinct options. 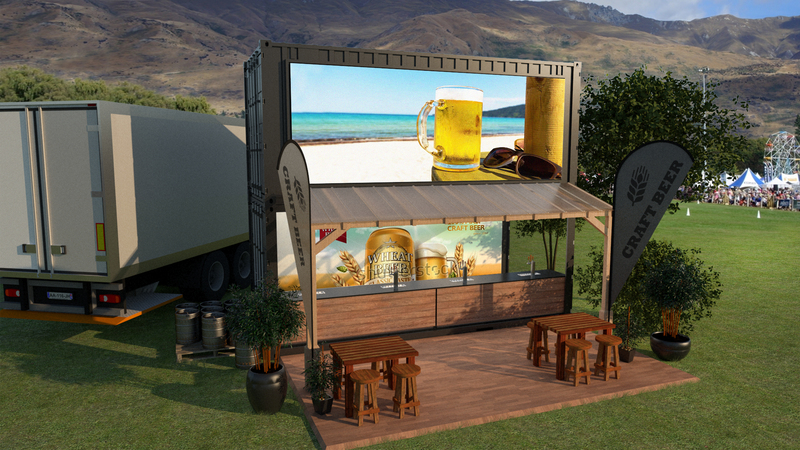 20 foot or 40 foot long containers, with P6, P8 or P10 screen types for optimal viewing for various distances. All units look spectacular from a short to long distance, you will be blown away with the content you can post on ContainerSign. 20FT ContainerSign incorporates a 5m x 2m (10m2) LED Digital Screen. 40FT ContainerSign incorporates a 8m x 2m (16m2) LED Digital Screen. To create a truly portable large format LED billboard in a container, several functional and environmental factors needed to be taken into consideration. 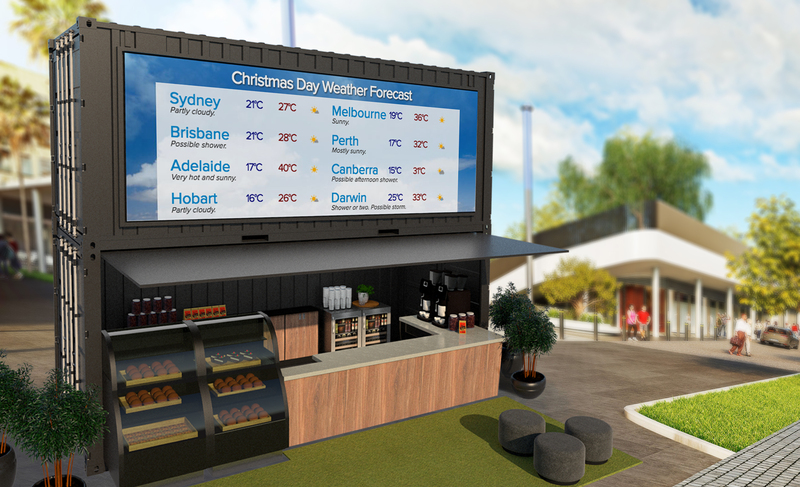 Australia has some of the most unforgiving environments on the planet with extreme temperature ranges, ContainerSign is fitted with internal cooling to extend the life of components, along with internet enabled control and management software to allow for a feasible big screen solution that can be deployed just about anywhere. 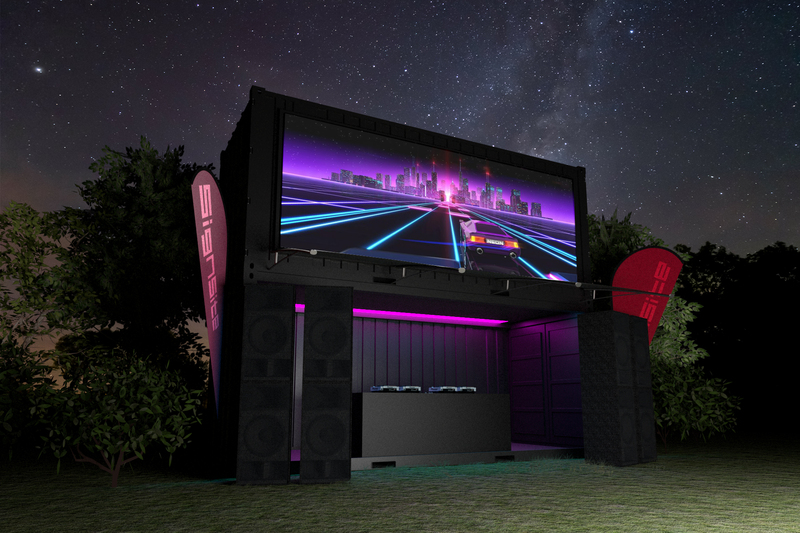 Containers are stackable by design, ContainerSign was designed to compliment customised shipping containers that have been modified to become pop up stores, coffee shops, bars and even DJ Booths! Since no two requirements are alike, we have created ContainerScreen in six variants, 40ft and 20ft long with a selection of 6mm, 8mm and 10mm pixel pitches for the perfect balance of viewing distance and budget.